The Magnificat is my favorite Bible passage. There is something about Mary’s life reflected in beautiful praise of God that is captivating. Although we could spend years meditating on her Magnificat, here are three points to ponder. When Mary says, “My soul proclaims the greatness of the Lord and my Spirit exults in God my Savior,” she was not speaking in vanity. She was not drawing attention to herself, but using her words and her soul to mirror praise and awe back to God. Mary is a mirror of love. She magnifies His greatness and mercy, which is why her prayer is called the Magnificat. We are all different reflections of God’s love. We all have different strengths, which are hints of God’s almighty goodness. Like puddles that reflect the sun after the storm, the puddle cannot reflect the whole sky- only a portion of it. We cannot possibly reflect the entirety of God’s goodness, but that doesn’t mean that we shouldn’t strive to be the most perfect reflections of God that we can be. Modesty is recognizing the splendor and beauty with which we were made, but also realizing that none of the credit is due to us. Although Mary is sinless, she never thinks highly of herself, but thanks God for His goodness that affects her life. Mary was made sinless by Christ; her soul was redeemed by the Blood of Christ, just like our souls are. Because Mary was to be the Ark of the Covenant and carry God made Man in her womb, God bestowed on her the grace of an Immaculate Conception, or a sinless soul. Mary knows that only by God’s grace in her life will she be remembered as blessed in future generations. “From this day all generations will call me blessed: the Almighty has done great things for me, and holy is his Name.” Mary’s focus was exclusively set on God and she saw that it was not by her own power that she was holy, but by God working through her. If we kept our eyes on God, we too would realize that we are not as righteous as we perceive ourselves to be, for we are truly incapable of doing good on our own. We need the grace of God. Mary maintains her modesty by holding herself up to God’s standard, never to the world’s. How often do we say things like, “Oh, well, I don’t drink as much as Katie” or “yeah, we shouldn’t have gone that far, but Matt and Sarah have gone even further.”? This is measuring ourselves up to the world, not to Heaven. We will not be judged on how we behaved in comparison to Katie or Matt, we will be judged on how we behaved in comparison to God’s commandments. When we look to God for direction and approval, we can see very clearly our faults and shortcomings. When we look to people for justification, however, we become desensitized to our own weaknesses. This can be compared to staring at the ground when we walk. I am in the habit of looking at my feet as I walk, and I think that I am being careful not to trip on anything. But, in reality, I am preoccupied with what is directly in front of me, losing sight of where I need to go. “For am I now seeking the approval of man, or of God? Or am I trying to please man? If I were still trying to please man, I would not be a servant of Christ” (Galatians 1:10). Modesty is choosing not to put ourselves above others, but opening up our peripheral vision to accept both our shortcomings and redemption in Christ. From Mary’s opening statement, “My soul proclaims the greatness of the Lord and my spirit exults in God my Savior”, one would expect that she would spend the rest of her canticle proclaiming the goodness of God and exulting in Him, which is exactly what she does. She is true to her word, completely, and entirely genuine. 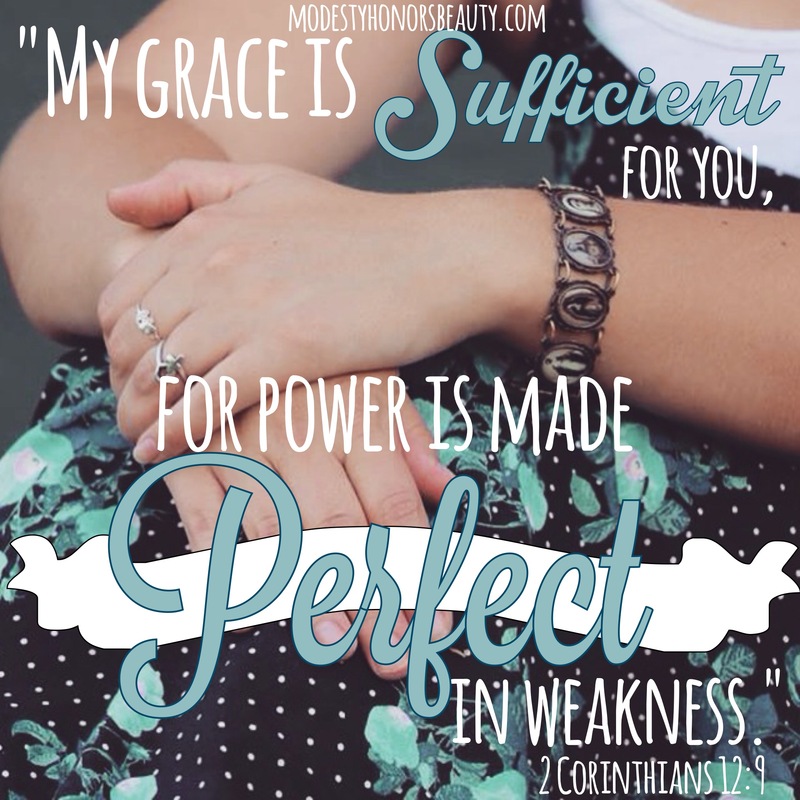 Modesty is knowing who you are in all of your weakness, and yet still recognizing yourself as a saved beloved son or daughter of God, worthy of respect. This is freeing and allows us to be genuine and real like Mary. There is value in the old saying, “say what you mean and mean what you say”. When we are honest, we tell the world that we are confident enough to expose our true selves, even with the possibility of ridicule. When we recognize our worth in Christ and act freely in that reality, we mirror Christ, like Mary did. I am glad that I am able to share my thoughts on the Magnificat with you, but I encourage you to read and meditate on it as well. We can draw so much from the words of Mary and this article only scratched the surface. The weather has been amazing lately! My winter wardrobe has been replaced with my spring wardrobe. This spring, however, I am looking for a new swimsuit. Dressing modestly during swimsuit season isn’t always the easiest thing. There are so many stinkin’ cute bikinis that I’ve seen. However, after watching Jessica Rey’s talk on the evolution of the swimsuit, I’ve seen that the bikini is not the most modest choice. I’ve chosen to avoid bikinis this spring, will you join me? Not everyone has the same standards of modesty, especially when it comes to swimsuits. I understand that what I think is modest, some people may consider immodest, and what I consider immodest, others find completely acceptable. I’m not saying that everything goes when dressing modestly. I think we should, however, strive to reveal less of our bodies and more of our dignity. Here are a few cute swimsuits that I have stumbled upon in my search for a new swimsuit this spring. The first image is a boyleg swimsuit from anthropologie.com This one is perhaps my favorite one of all. 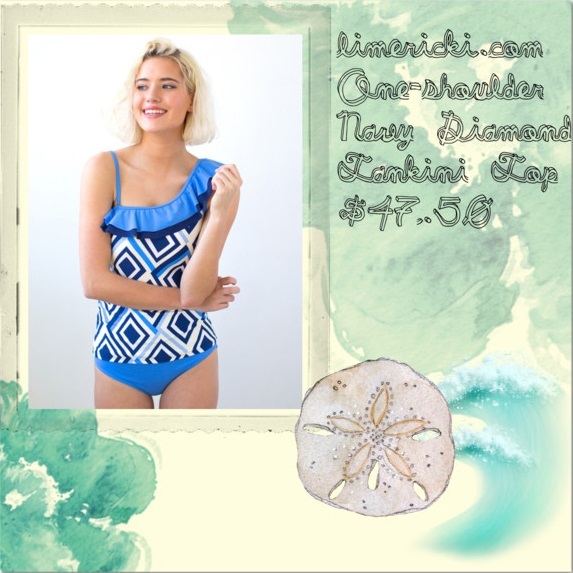 It is by far the most expensive, but it is a great modest swimsuit with a classic and vintage feel. I think I will be saving up for this little gem! The second image is a one-shoulder tankini top from limericki.com. I liked the one shoulder look and the bright fun pattern. I recommend checking out their website because they offer some very cute and reasonably priced modest swimsuits! 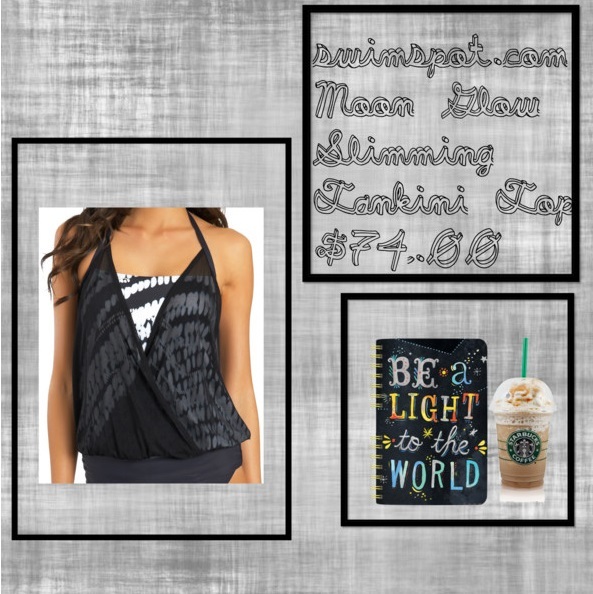 The fourth image is a tankini top from swimspot.com. I liked how it looked a little more athletic, but still flattering and feminine. It reminds me of the running tops that are very “in” right now. These are just four of MANY cute swimsuits that I have stumbled upon this season. And many are cute MODEST ones too! Jessica Rey offers modest and classy swimsuits as well (reyswimwear.com). Hooray for that refreshing change.